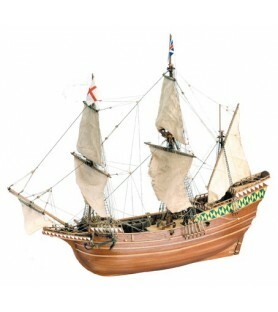 The best modelcrafts of historic wooden ships of Advanced Level, after Initiation and Intermdiate, and prior to Elite. 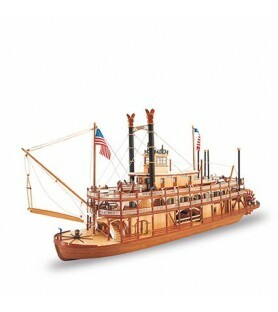 In our section of Advanced Level model ships you can find renown fantastic ships such as the Mississippi, Mayflower and Independence, among others. 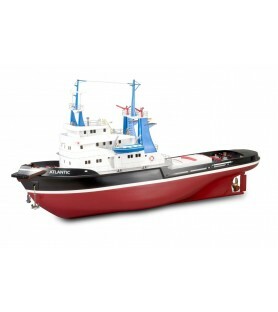 The Sanson tugboat modeling kit is the perfect gift for advanced modelers. 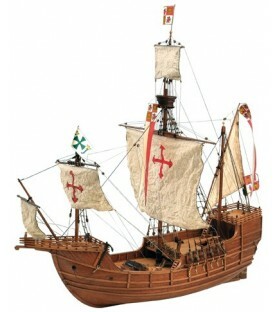 With the acquisition of this wooden model you will have all the necessary parts to complete this scale model 1:50: fine woods, threads, metallic accessories... Get this artwork of naval modeling in your personal collection. 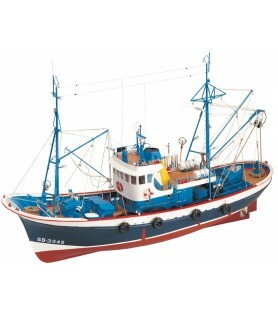 Spanish fishing boat wooden model called Marina II belongs to a naval modeling kit recommended for advanced modelers. 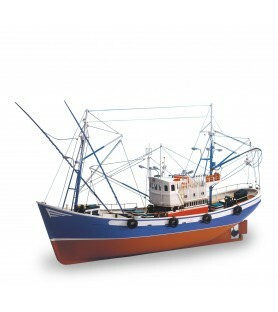 With the purchase of this kit, you will have all the necessary parts to build the tuna ship scale model 1:50: woods, threads, metallic accessories... You will only have to contribute with your tools and skills! 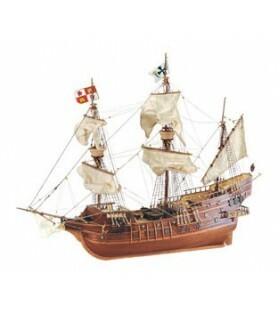 Wooden model of one of the most important ships in history as part of the Discovery of America by Christopher Columbus: Santa Maria caravel. Build one of the jewels of naval modeling guided by a complete set of instructions. This 1:65 scale model will delight the modellers. 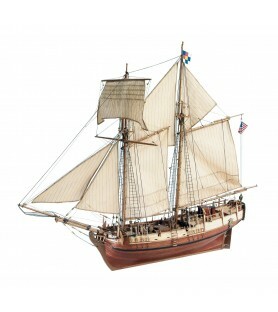 Wooden model 1:35 scale for its construction, the schooner of the Independence War. It is a faithful replica of the ship with six cannons that helped to consolidate to the United States like an independent nation. Advanced modellers now have the opportunity to assemble a unique artwork filled with quality and meaning. 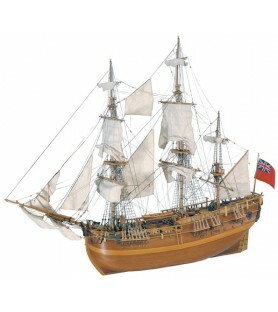 The HMS Endeavour modeling kit is the perfect gift for advanced modelers. With the acquisition of this wooden model you will have all the necessary parts to complete this scale model ship 1/60: fine woods, hand-sewn sails, threads, metallic accessories... Get this artwork of naval modeling in your personal collection. 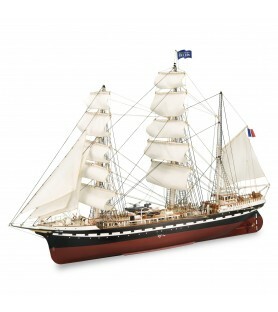 Build the LaFayette Hermione model ship in wood and in 1:89 scale. This new version, improved in all its parts, includes a complete set of instructions on CD with more than 2,000 photos! 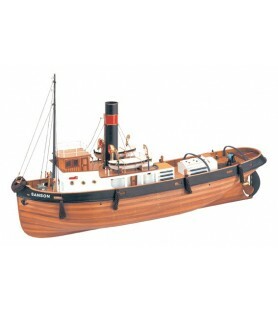 The Atlantic tugboat modeling kit is the perfect gift for advanced modelers. With this wooden and plastic model you will have all the parts you need to complete this 1/50 scale model: noble woods, ABS, wire, metal accessories... Ready to convert it into R / C model! Art work of naval modeling that should be part of your personal collection.